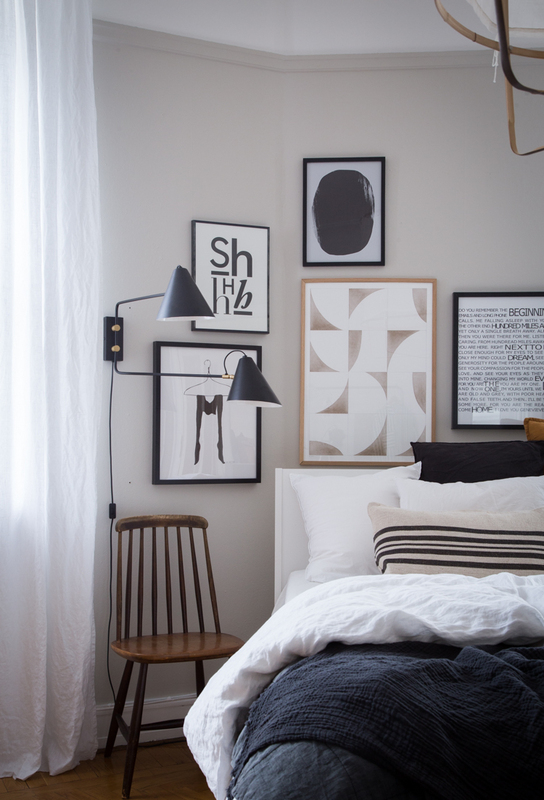 I was happy to hear so many of you loved Gen's bedroom tour yesterday - it is such a fantastic space! I'm not sure how she actually gets up and leaves each day (I'd want a duvet day everyday, how about you?!). As promised, here's the low down on those fabulous prints and a few other details! 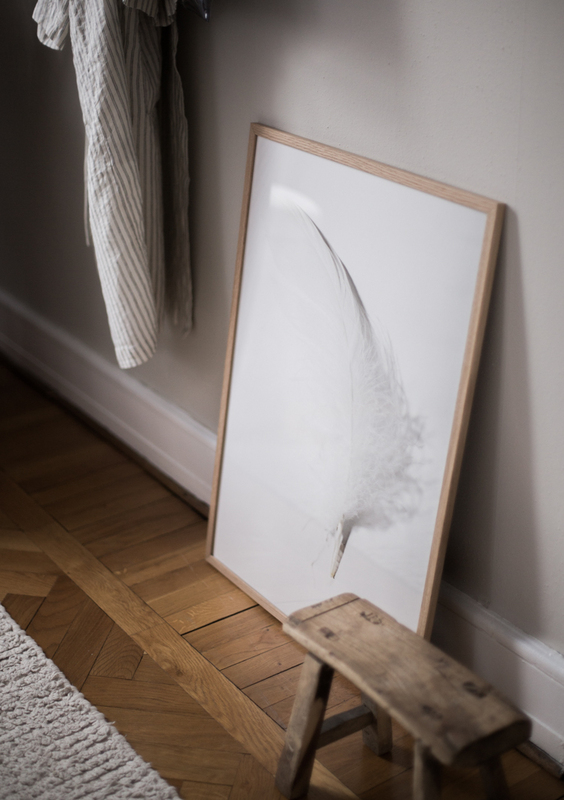 The beautiful Feather 02 print by Rikke Hass Christensen with Oak Frame rests on the floor underneath a rack of wooden hooks. 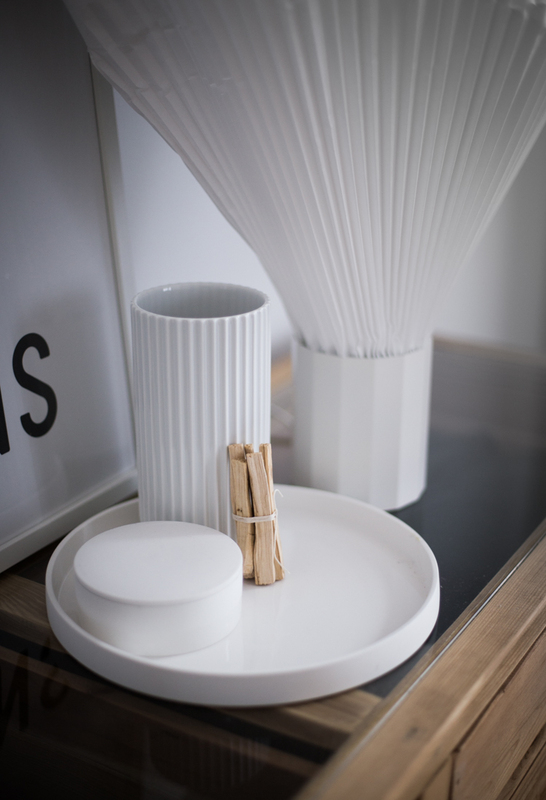 I love a white on white vignette and this one works really well due to the textures at play - gloss and matt / smooth and striped! 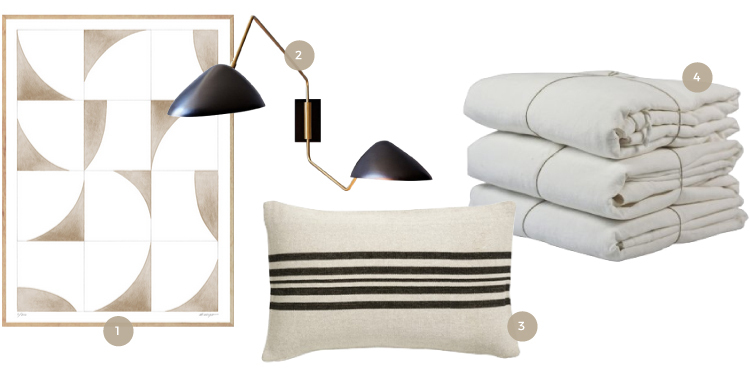 I hope today and yesterday's post has given you a few ideas for your own home. As always, if you're wondering about any other details just give me a shout in the comment section below! *This post includes gifted and affiliated links. 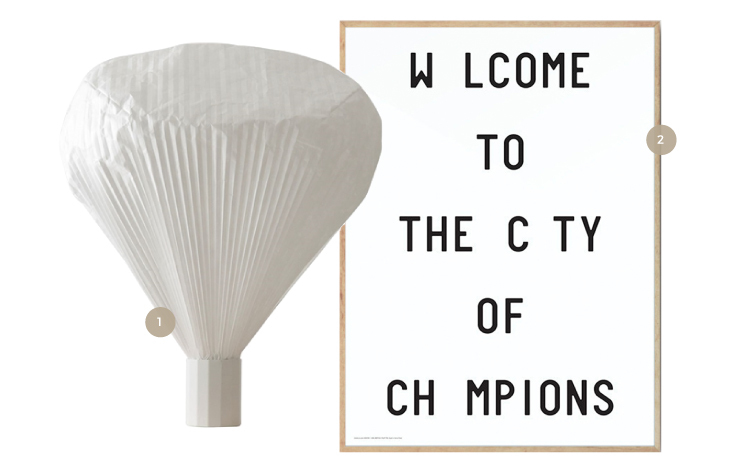 All words are my own and I only ever work with brands I love. Thank you for supporting the businesses that make My Svandinavian Home possible. I could take over her bedroom; it's so serene, but interesting. I have been stalking Kristina Krogh's art since I've seen this. She has so many beautiful prints. 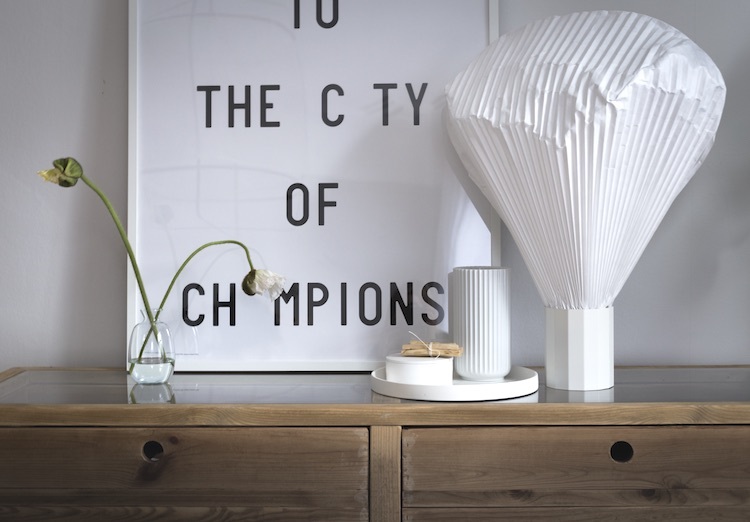 I love Kristina Krogh's work too. Her Noon print is hanging on my bedroom wall, so happy with it! 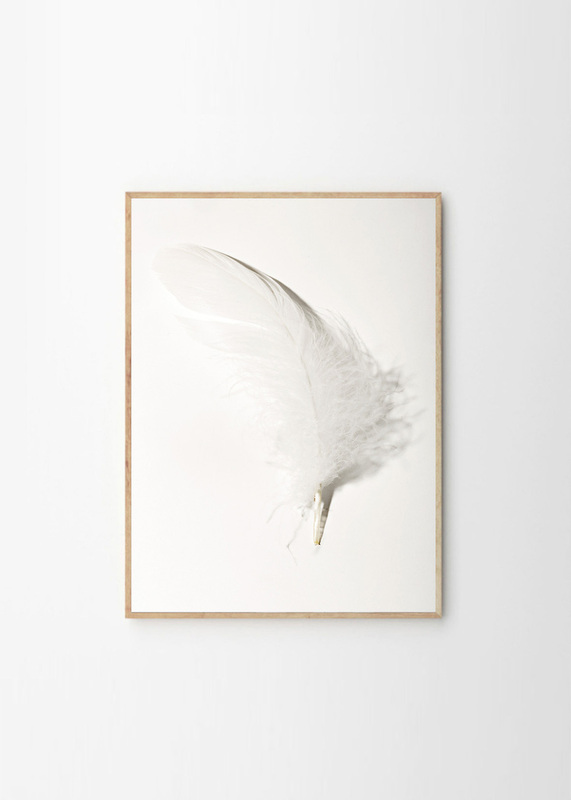 Rikke Hass Christensen's Feather 02 creation is also cool! It reckons a mild, supple, relaxed feeling inside the room. Love the way you describe the Feather 02 - spot on! This is a so useful way here to get the google download chrome online here when you want to get chrome.